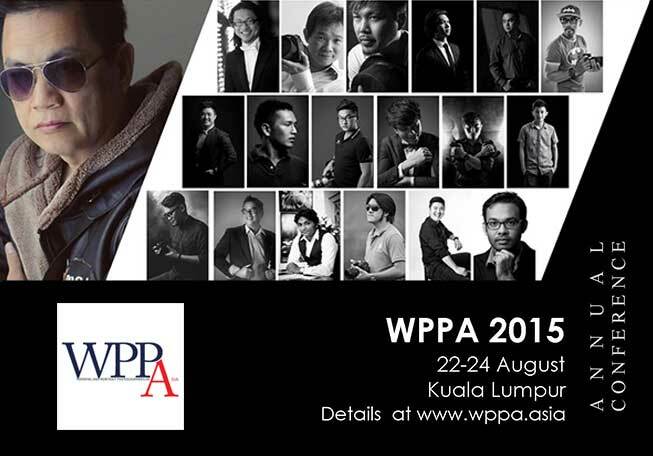 WPPA 2015 is a gathering of professional photographers to exchange ideas and network. Wedding and Portrait Photographers of Asia (WPPA) aims to provide a platform for all photographers based in this region to network and stimulate creativity through the sharing of techniques and exchange of ideas at our annual photography conferences, competitions and activities. To-date we have more than 70 WPPA Qualified Professional Members throughout Malaysia, Singapore, Taiwan, China and Bangladesh. This year at WPPA 2015, we have a lineup of both International and Malaysian speakers. These speakers include Lito Sy (Philiphines), Matthew Tan (Singapore), Zung and Roger Tan. We will be also show casing some of our talented WPPA local and international members during the conference. *Pre-registration closes Wednesday, 17 August 2015.